「学校やめちゃったらどう？ "Why don’t you Quit school?" There are lots of children who “Don’t want to attend a school class”because they where bullied, aren’t there? Inspite of their wishes, the parents still trying hard to made them go to school. I think that “Don’t want to go to school class” situation is a chance for the children. In my case, during my childhood, I thought that we must go to school everyday. Once I got sick and took leaves from school, I had an impression that I would feel so guilty if I had to be away fro school without good reason. It is unfortunate that since our birth, we were made to go here and there on a daily basis by either our parents or by our country. Just right after we were born it appears that our time within each single day has been arranged. Therefore, it goes without thinking that once we completed the given tasks, a day is over. Our timetable is quite fragile, isn’t it? The schedule for a day is defensive that means whole life is also defensive.Once the schedule for one day in our life is of a passive nature, out entire life will be of a passive nature as well. Moreover, there are lots of pointless time at the school. All humans, to some extent have their own strengths and weakness, don’t they? We can look at an example of this case. If the child dislikes subjects of sciences and mathematics, he is not able to focus in those classes. This means he spends half a day for nothing. With the reason, shouldn’t we let the child attend his favorite class like P.E. or Arts? With these, we can see that the school is a proper place to provide basic knowledge to students in order to make them an average person. 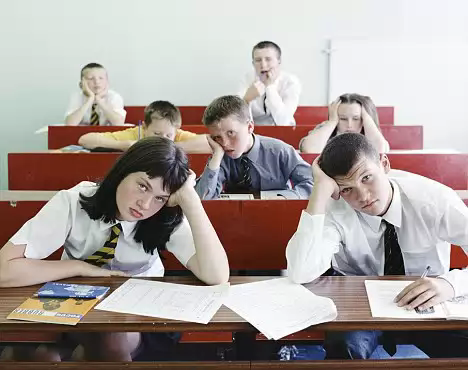 However, it’s hard to have geniuses born from school, as the school’s environment doesn’t provide rooms for students to extend their abilities.From the same example, we can see that school is good to teach basic knowledge to students and make them average, but the geniuses rarely born from school. That’s because the school environment is not good for students to extend their abilities.Isn’t that a natural thing? You can see that in school, only one adult takes care of up to 30 students. Mr I, my really young friend with his age at twelve, isn’t going to school. Instead, he learned his favorite subjects (In his case, they are drama acting, guitar, surfing and languages!) from teachers coming to his home. He doesn’t have any special calculation study, but he manages to remember how to do so by helping his dad’s work. Thanks to this method, even he is just twelve years old, he can speak up to four languages. There are times that you might be told by parents or just be reminded of some crazy remarks like “If you don’t go to school, you can’t become a member of the society”. That’s just a lie. People who can’t form relationships in cases they don’t go to school are completely of a passive type. Iran kun is surrounded by friends from his specialized field. Moreover, there are dangers from bullying if the children are forced to go to school against their wills. There are many people who were traumatized, and their pain still remain even if they have reached their adulthood. It’s also a negligence for parents who told their children to try to going to school. I think that instead of spending their uneventful daily lives chatting with fellow housewives, mothers should tried to find a way to expand their children’s abilities whenever there are free times. Why don’t you giving the best kind of education for yourself? So, when there’s a child who get fed up with schooling, how about letting them to take a break just once.